Burton Snowboards in Burlington, VT is working to make the snowboard product manufacturing business more sustainable and it is committed to achieve new goals by 2020. Burton is the dominant snowboard product company in the world, and as such this commitment to sustainability can be an example for other businesses in the snow sports world to emulate. The two fronts for sustainable efforts include an environmental focus on the full impact of Burton's operations such as product design, development, manufacturing, packaging, and shipping and a social focus on the people who support Burton including factory workers, employees, suppliers, dealers, riders, and communities. The company has outlined its efforts in three categories: product, people and playground. The environmental focus is generally known in the world of business where each decision takes root with an eco-influence. Since 2008, Burton has focused on improving not just the use of sustainable materials, but the process as a whole. From the production of snowboards, boots, accessories, and outerwear to luggage and apparel, Burton incorporates the sustainable perspective everywhere possible. For example, recycled plastic bottles are transformed into pellets spun into thread to create fabric. The bluesign Restricted Substance List has been applied across all Burton factories. Product teams on Burton softgoods for example, will use 100% bluesign-approved materials, 100% sustainable cotton, 50% recycled polyester, and achieve 100% PFC-free durable water repellency. Burton’s factories will reduce carbon emissions from manufacturing of all hardgoods by 20% using the Life Cycle Assessment software as a tool. The CO2 footprint at the global headquarters will be reduced by 20% and the company will divert 75% of waste from the landfill while establishing a end-of-life program at retail. The Life Cycle Assessment software provides a detailed look at the full product cycle from starting point of extracting natural resources through manufacturing, transport, and the products’ end of life. Bio-resins are used and cores are sourced form responsibly-managed certified (by the Forest Stewardship Council) sources. Recycled and organic materials are used wherever possible. By 2020, Burton has committed to meet the goals across its full range of boards, boots, bindings and helmets. The 2020 goal for packaging deploys materials that are to be 100% recyclable or compostable and 80% of packaging materials is made of post-consumer recycled content. Down used in jackets requires suppliers to be audited back to farms where the birds are raised and first produce eggs, and the validation process is moderated by a third party ensuring that every feather originates from ethically treated ducks and geese. The end-of-life concept tries to keep everything out of the landfill and it is exemplified by 60-85% of every board returned to Burton. These returns were repurposed as beer sample holders at local breweries, shelving units, and employee name tags. This year 19% of the returns were repaired. The goal is to repair 40% of the warranty claims by 2020. Snowboards are made with ReRez, an epoxy resin that allows the snowboard to be disassembled so each material can be recycled into a new product life. Burton will meet Fair Labor Association standards compliance at all their factories by 2020 and this means that each employee works in safe, healthy, and environmentally friendly conditions. The intention also extends to highest standards of international human rights at Burton factories and protecting familial culture at the global headquarters. Burton initiated a strict Social and Environmental Responsibility Audit Program and Code of Conduct Policy based on UN International Labor Organization and Fair Labor Association standards. Burton finished-goods factories have been audited and they are also encouraging raw material suppliers to ensure that they all agree to the standards. 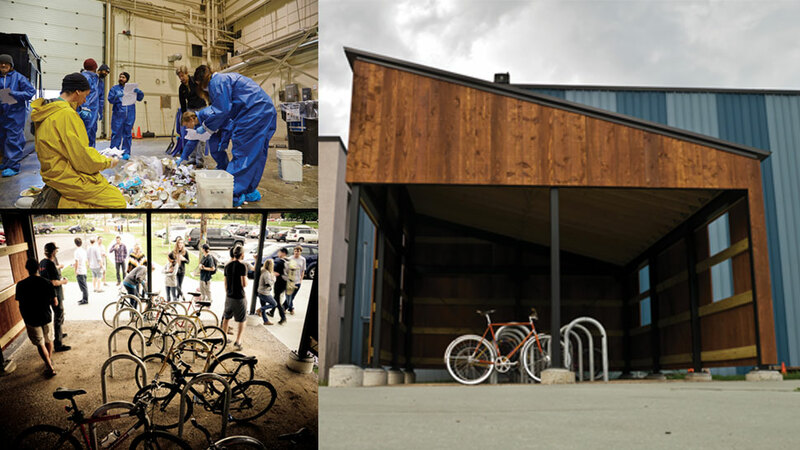 Burton promotes sustainable employee commuting with a fleet of free loaner bikes, charging stations for electric cars, and preferred parking for bikers and carpoolers. Organic vegetable plots are available on site for employees, who want space to grow their own. They've also partnered with a local company that supplies locally made organic hand soaps to employees. 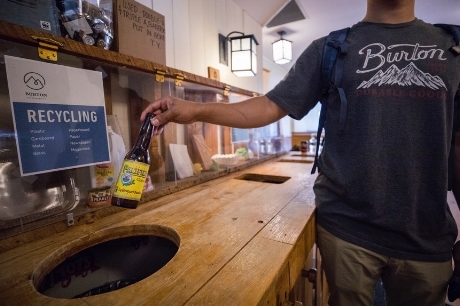 The efforts to reduce waste at Burton included a campaign where employees gave up their personal trash cans for a custom mason jar that fast-lanes them to the keg at company parties. Waste-sorts are organized to try to find opportunities for diverting trash and by the second year of the efforts, 67% of the waste has been diverted from landfills The goal is to attain 75% waste reduction by 2020. Other social mores at the company include bringing dogs to work, casual dress and flex Fridays in the summer (they get to leave at noon! ), and a free pass to a local mountain for unlimited snowboarding. Burton also offers fitness membership reimbursements to make staying healthy affordable. Burton's Women's Leadership Initiative programs help to attract, retain, and promote women, increasing the number of women in leadership and influential positions throughout the organization. The Burton leadership team is 40% female. There are mentoring programs, organized career development, generous paternity policy and women’s ride days. Gender equity can be traced back to 1982 when the Burton US Open established equal prize money for men and women. Burton has keyed in on action and advocacy intending to use its momentum on sustainability efforts to set an example and speak out on policy issues that impact their people and the environment. All of the Burton events (i.e., US Open at Vail Resorts) will be carbon neutral. Burton will also collaborate with other industry leaders (Outdoor Industry Association’s Sustainability Working Group and the Higg Index was developed and launched in July 2012 as a self assessment tool for apparel that enables companies to evaluate material types, products, facilities and processes based on a range of environmental and product design choices) to impact global policy on these matters. Burton Snowboards can be seen as exemplary for sustainable businesses and many of the details on this story have advanced since the time it was first produced a few years ago. Burton is to be commended for the sustainability efforts already under way and for establishing a short deadline to attain even better results.